Remove the instrument panel lower trim pad cover. Refer to Instrument Panel Lower Trim Pad Cover Replacement. Disconnect the brake pedal position sensor electrical connector. 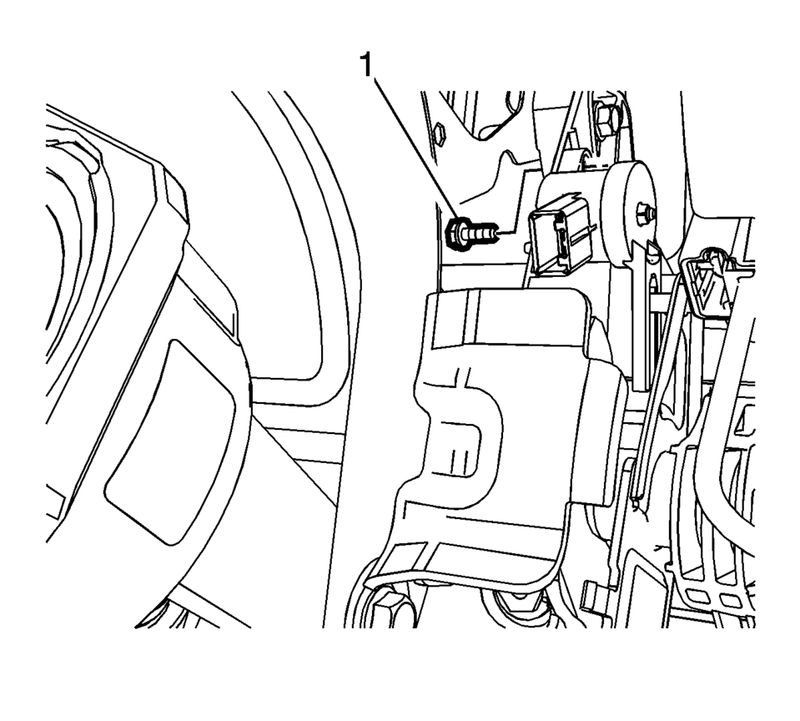 Remove the brake pedal position sensor bolt (1). Remove the brake pedal position sensor. Ensure the fork of the brake pedal position sensor is positioned over the brake pedal post. Install the brake pedal position sensor to the brake pedal bracket. Connect the brake pedal position sensor electrical connector. Calibrate the brake pedal position sensor. Refer to Brake Pedal Position Sensor Calibration. Install the instrument panel lower trim pad cover. Refer to Instrument Panel Lower Trim Pad Cover Replacement.